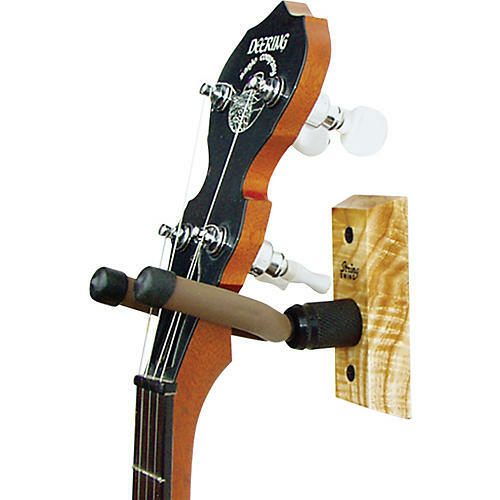 A wood-backed banjo hanger that holds your banjo while not touching the tuners. This banjo hanger from String Swing attaches to the wall and holds your banjo in such a way that the banjo does not rest on the tuners. The wooden block backing is made of real hardwood and the rubber-coated arm protects your banjo's finish as it holds the instrument securely in place.